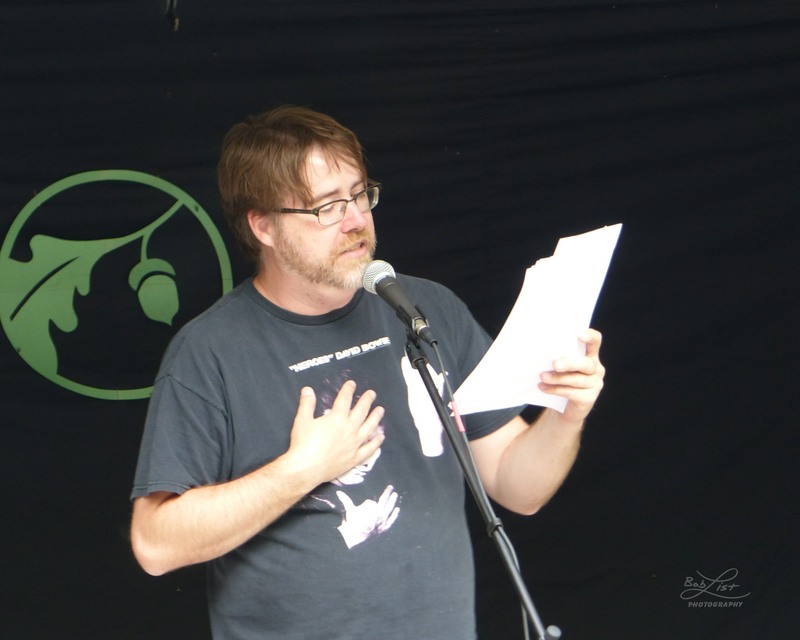 Steve Henn is a northern Indiana poet and high school English teacher. The voice in Steve’s poetry is perhaps one of its strongest qualities. There is this sense of sad reflection, a speaker who recognizes that something is off with the world, and through it all are these threads of critique and of hope. The poems are consciously and cleverly weighted with moments of humor, yet these are not punchlines after a cheap laugh. Instead they are the reflections of a writer who is just, above all else, presenting a persona and sense of self with these poems that is genuine. This genuine nature of the poems make the moments of societal and social critique, such as in “Role Playing Games”, ring a little louder. These are poems that have no gate-keeper; they can be appreciated by anyone at the local pub or by any enlightened PhD. This accessibility, spurred by the humor but also by the subject, makes Steve’s poetry feel urgent and important to share. If we want to introduce someone to the beauty and the magic that is poetry, I would give them one of Steve’s books. His work invites you in, makes you smile, and then by its end has you thinking upon what he has presented before you. His three full length collections include Indiana Noble Sad Man of the Year (Wolfson Press, 2017), And God Said: Let there be Evolution! (NYQ Books, 2012) and Unacknowledged Legislations (NYQ Books 2011). His chapbooks include Subvert the Dominant Paradigm! (Musclehead Press, 2009) and The 30th Anniversary Warsaw Community Commemorative Book Burning (Pudding House, 2007). His poems have appeared in New York Quarterly, Rattle, 5 a.m., Chiron Review, Pearl, Nerve Cowboy, Freeverse, Barbaric Yawp, Staplegun, Quercus Review, and Beggars and Cheeseburgers in print and online at Midwestern Gothic, Indianapolis Review, Verse-Virtual, Trailer Park Quarterly, and elsewhere. Henn is an entertaining live reader and has presented his work at the Uptown Poetry Slam at the Green Mill in Chicago, the Long Beach Poetry Festival, IU-South Bend, the University of Pittsburgh-Greenburg, and too many coffeehouses, bars, open mics and featured readings to count. He has the good fortune to be raising the children of he and outsider artist Lydia Henn (1980-2013) as a single dad. He’s beginning to put together his next poetry collection. Crystal, where’d the time go? in here, just minutes, mere decades ago. not yet soiled with cigarette ash so long ago. I can think to say is I wish I hadn’t of been right. pulling tight out of sight on the other end. “look at me in the face when I shoot you. now in this next drill, you’ll feel empowered. commanding them. Fish Frenzy, boys and girls. Fish Frenzy, Now. that this is what we have become. the heavy on whiskey and beer. sometime soon” and I said “for what? even bother to go out. their ancient Egyptian stargate. He really meant it. going where the action is. to give to the bum. and does it and does it. our electrons. Don’t fight it. the sword is useless. Try singing. More at therealstevehenn.com, Indiana_sad_man on Instagram and @mrsteveenghenn on twitter.